Time of Awakening... Access to the Spirit World: I have an Office!! I have an Office! I could not even begin to explain how happy this has made me or even how much of a difference this makes. 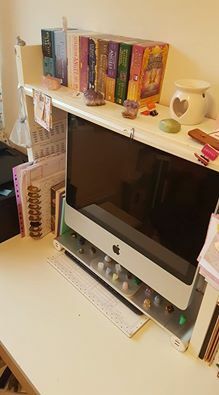 We have a 4 bedroom house and 7 of us in it but Mark had pointed out that clearly for me to be able to work effectively I need a proper space where I could be at work and close the door and the girls would also know this space and the door closed means Mummy is working. We have moved Soraya into our bedroom and Alina in with the other two little ones and used their bedroom to create an office. With this new found space it has also meant that I have returned to working at the Circle. I also have someone looking after the girls so I am able to do readings during the day which is fantastic. For the last week I have been working form the space and I love it. I am really looking forward to making it a spiritual haven in our home. As it is also more private I will be able to use for more than just a working space but that I shall share in another post. Have you liked my Facebook Page? There are new features and frequent updates. 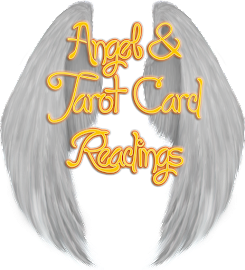 Including the option to now book your readings using this platform.